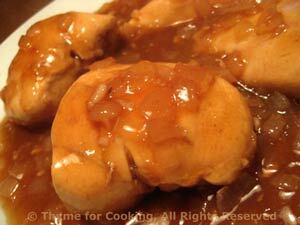 Thyme for Cooking Dinner tonight: Sweet and Sour Chicken. 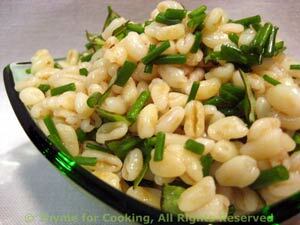 Barley is not just for soup! It's a hearty, nutritious grain; easy to cook and flavorful. I get the quick-cooking barley which takes about 15 minutes. Cooked in chicken stock and finished with a bit of oil and fresh herbs, it's chewy texture is a fun change from rice or pasta. 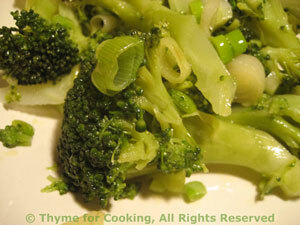 Stir in olive oil, herbs and serve.